Defining Success: It's Your Choice | Coach Nikki B.
I am so thrilled to be joining my friend, Janice Ernest, author of the very witty Brocksport USA books, as we pair up to write a series of articles about topics that are important for writers. This article is the first in our series, so be sure to check out Janice’s view on things here. Also, don’t miss out on what’s coming. Click the button above to request a PDF version of this article, and I’ll be sure to let you know when our next articles are published. Oh, another thing, watch out for your opportunity to pick our brains live in a few weeks. What does defining success mean to you? The question is, do you even know what you really want? Or, have you slipped into the habit of letting other people define success for you? If you have, it’s perfectly understandable. Throughout your life, parents, teachers, neighbors, employers and even friends have all had their own ideas about what is good for you or what you should be doing to be successful. Of course, it is fine (and sometimes very important) to consider other people’s opinions. However, it is far too easy to get lost in the maze of what other people want and totally lose sight of the opportunity and responsibility you have to decide for yourself what is truly important in your life. 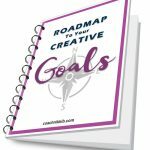 If you are feeling unsure, overwhelmed or stressed out as you pursue your writing or personal goals, it may be because you are not really clear about defining success for yourself. here are some steps you can take to start experiencing success on your own terms. Get to know yourself. Take some time to become familiar with who you are and what you really believe is important at this time in your life. Even if you have done this before, do it again if it has been a while. We do change our minds about things and shift our priorities as we experience life. There are lots of tools online that can help improve self-awareness. Values assessments, personality profiles, life satisfaction questionnaires, etc. can all give you better insight into that really amazing person you see in the mirror each morning. If you find this is difficult to do on your own, try partnering up with a friend so you can encourage each other through the process. .
Journal your journey. Keeping a journal is also a great way to connect with your inner wisdom. You might be surprised at what you discover about yourself through a daily journaling practice. Stop waiting for permission. Life is too short to keep waiting for someone else to approve of what you want to achieve. Sure, there will be people whose opinions you value, but your ultimate definition of success is 100% up to you. If you really need permission from someone, fine. I give you permission. So there. Get to the root. Instead of always thinking about success in terms of external things which may be out of your control anyway, take a deeper look inside. What is the real core of the external things you think you want? For instance, is your success really based on how many book sales you have, or is it really more about developing a daily writing habit which could ultimately lead to more books for you to sell? ? Is it about the number of dollars you make with your writing or is it about how you want to express generosity to others with your money? Keep exploring your motivation for the external by asking yourself why you want that particular thing. This is another good place to utilize your journal by the way. Stop comparing yourself to others. Just because all your writer friends seem to be more prolific or are doing better with their book marketing doesn’t mean they are more successful than you. The path to your success may simply be different from theirs. It is so easy to get distracted by what we see others doing isn’t it? Certainly, we should learn from others, but be really honest with yourself before you impulsively go chasing after someone else’s dream. Even if you catch it, it won’t really make you happy because it was not your dream in the first place. So, here’s my invitation to you. Take one of the points I’ve raised here and spend some time considering it or maybe even journaling about it. What comes up for you? How will you be defining success differently for yourself in the future? I’d love to know what you discover. Just leave your comments below, or feel free to email me here.